See how RepairShopr can help you manage your Drone Repair business. Need business software that streamlines your work and automates time-consuming tasks? Are you looking to grow your business, but need tools to help? RepairShopr has you covered! 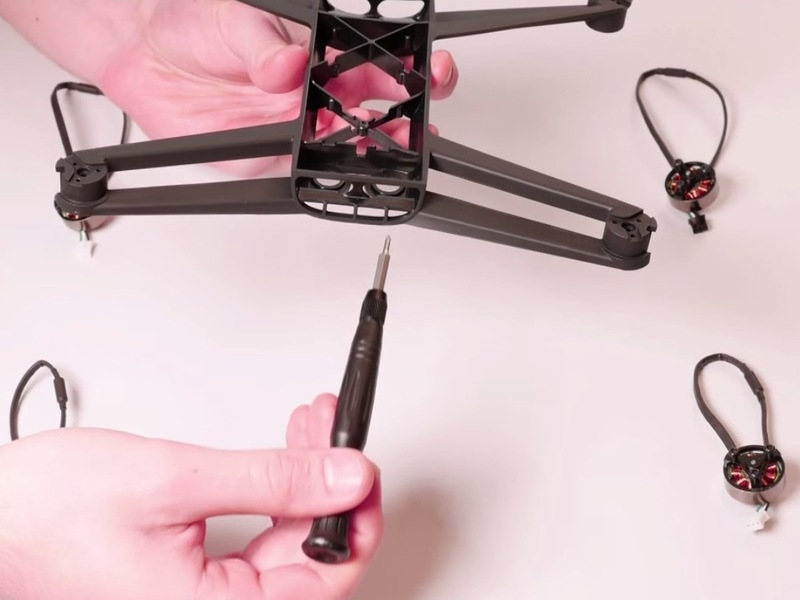 Do you run a drone repair business? One, that's super cool. Two, RepairShopr can help you. RepairShopr is an all-in-one software platform designed specifically for repair businesses. Our integrated systems talk to each other to help save you time, while our built-in marketing and reporting tools help you grow your business. Learn more about how RepairShopr can help your drone repair business. If you build, sell, or repair drones or UAVs, RepairShopr can help you manage your business. You need to see business performance to get better results. Our built-in sales, tickets and inventory reports show you how you're doing, without any set up required. Our integrations are designed to streamline your workflow and save you time. Integrations include QuickBooks, Xero, Google Calendar, Slack and tons more. Sign up for a free account to try RepairShopr and see if it works for you. Your 14-day free trial is zero risk (ie. no obligations and no credit cards), so give us a try. Powerful features that will streamline your workflow to give you time back in your day. Get more business by adding a customizable Lead Widget to your website. 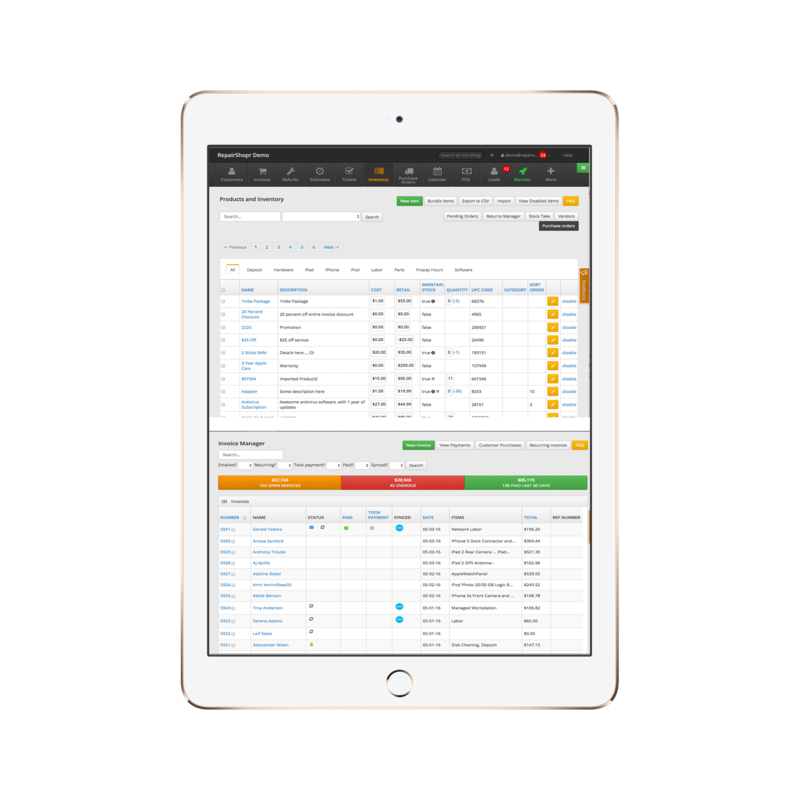 Streamline your workflow by tracking each repair job from start-to-finish in one place. Auto pilot kits, batteries, flight controllers - you've got tons of parts, we've got a system to track them. Your customers are your biggest asset. CRM lets you track their info, repair history, and even their emails. Send targeted emails that make it easy to build customer loyalty while generating repeat business. RepairShopr is completely customizable - adjust your settings to suit your existing workflows.